Palm Beach Gardens Realtor, Larry Pettit is an experienced real estate broker and sales executive located in Palm Beach County Florida. 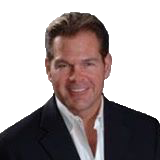 During his 30 years in the industry, Larry has listed and sold over 350 million dollars worth of real estate. Larry has extensive experience with buyers and builders in new construction and land development markets and is also exceptionally skilled in working with high-end luxury homes and clients. Currently, Larry lists and sells homes in Palm Beach County, Florida. He worked with the Corcoran Group for over ten years. Larry is committed to providing a personalized buying and selling experience that meets the unique and specific needs of each of his clients including important factors such as lifestyle, location, and affordability. Larry a Palm Beach Gardens Realtor, has was a boat owner for over 10 years and is very familiar with the Intracoastal Waterway between Ft. Lauderdale and Stuart Florida. This experience allows him to assist buyers with special boating needs such as dockage, marinas and accessibility to the ocean. Some of Larry’s former clients include: Tennis stars Venus and Serena Williams, Michael Newman (former CEO of Polo Ralph Lauren), and Jamie-Lynn Siegler (the Sopranos). Specialist for Waterfront in North Palm Beach, Jupiter and Stuart, and the communities of BallenIsles, Mirasol, Frenchman’s Reserve, and Old Palm. His unique background also includes the final sell out of Boca Country Club, Bocaire Country Club and the completion of BallenIsles Country Club in Palm Beach Gardens. Larry is a U.S. Army veteran and began his career with rigorous training at Ft. McClellan Alabama and then served at Ft. Lewis Washington with the 9th Division as a Military Police Investigator. At the end of his term of service, Larry received an honorable discharge and went on to attend Eastern Michigan University where he realized his passion for real estate. Larry Pettit Real Estate, ReMax 1st Choice palm beach gardens real estate, Palm beach county real estate, Martin county real estate, Palm beach gardens real estate, Jupiter real estate, Singer island real estate, Jupiter island real estate, Juno beach real estate, Sewall’s Point real estate, Stuart real estate, Waterfront properties, Golf club communities palm beach gardens, Golf club communities Jupiter, Florida.